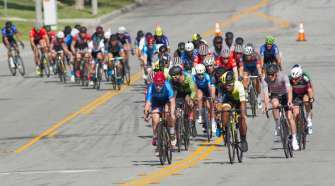 Opportunities for riders to score valuable points in the USA Cycling National Criterium Calendar (NCC) standings are dwindling as the 19-event NCC concluded its 15th race on Sunday. This week the men contested the Manhattan Beach Grand Prix in Manhattan Beach. 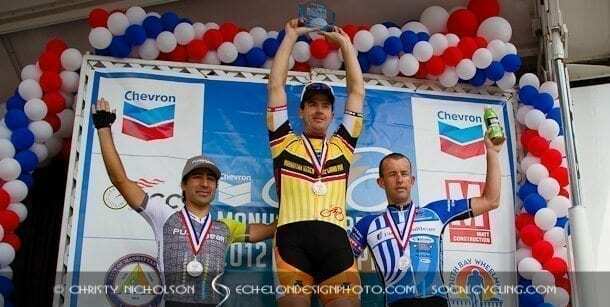 Ken Hanson (Santa Barbara, Calif./Team Optum p/b Kelly Benefit Strategies) won the race in southern California, holding off Ricky Escuela (ARG/Full Circle Cycling p/b Pure Gear) and the standings leader, Hilton Clarke (AUS/United Healthcare p/b Maxxis), to collect 100 points and move up one spot in the NCC men’s standings into fifth place. Clarke, who finished third in the race, added 60 points to his total and now leads Jacobe Keough (Sandwich, Mass./UnitedHealthcare p/b Maxxis) by 110 points. 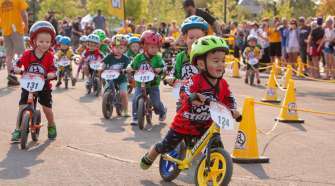 Keough’s younger brother, Luke Keough (Sandwich, Mass./Team Mountain Khakis p/b SmartStop), is in third place, 74 points out of second place. Carlos Alzate Escobar (COL/Team Exergy) sits in fourth place, only five points out of third. Hanson sits in fifth place, 14 points behind Escobar. There is a new second place team in the NCC men’s team standings as Team Mountain Khakis p/b SmartStop passed Jamis-Sutter Home. Team Mountain Khakis p/b SmartStop trails UnitedHealthcare p/b Maxxis by 609 points, but holds a 27-point advantage on Jamis-Sutter Home, which sits in third place. Team Exergy is in fourth place, 71 points out of third and 61 points ahead of the fifth-place Team Optum p/b Kelly Benefit Strategies. As the women’s race in Manhattan Beach was not part of the NCC, the NCC women’s standings are unchanged. 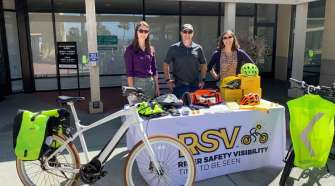 Erica Allar (Tucson, Ariz./RideClean-PatentIt.com) tops the standings with 657 points, 138 points more than second-place Laura van Gilder (Cresco, Pa./Mellow Mushroom). Sarah Fader (Morrisville, N.C./Pepper Palace Spin-Tech Training p/b ABRC) sits in third with 299 points while Nicky Wangsgard (Cedar City Utah, Primal-MapMyRider Women’s Racing) is in fourth place, 102 points behind Fader and only eight points ahead of Kendall Ryan (Ventura, Calif./Team TIBCO-To the Top), who rounds out the top five. Team TIBCO-To the Top remains the leader of the NCC women’s team standings, holding a 157-point edge on second-place Optum Pro Cycling p/b Kelly Benefit Strategies. NOW and Novartis sits in third place, 123 points out of second place and 87 points ahead of Vanderkitten-Focus. Exergy Twenty12 rounds out the top five, 28 points behind Vanderkitten-Focus.